Actinic Keratoses are an incredibly common precancerous condition. They are very much related to sun exposure and tend to show up on the head, forearms, and the back of the hands. Left untreated, they eventually can develop into squamous cell carcinoma, which may require surgery to remove. Since it is difficult to determine which ones are going to turn into cancer, we recommend getting rid of all of them so that they never have the chance. Squamous (rhymes with famous) cell carcinoma is the second most common type of skin cancer. There are about 700,000 cases of squamous cell carcinoma each year in the United States. They can grow anywhere on the body, but are far more common on sun-exposed areas like the rim of the ear, lower lip, face, bald scalp, forearms and backs of the hands. They often look like red or skin-colored patches or bumps and are often scaly. Many times, they look like warts or even just a patch of dry skin. Melanomas often resemble moles, but typically are darker in color, have several shades of brown, have irregular edges, and are larger than a pencil eraser. Another way to think of them is that normal or benign moles often look well put together, or orderly in some way. Melanomas often look like they were made by a slob. However, there are many exceptions to this general guide, which is why new or changing moles or moles that just don't look right should be examined by a dermatologist. Skin cancer is by far the most common skin cancer in the United States, but with early detection it is usually curable. Skin cancer screening is quick, painless, and saves lives. There are many options for treating skin cancer, including simple office procedures, topical medicines, and advanced surgical removal by Mohs Surgery. We can provide any of these and will recommend the best treatment for you. What surgical services do you provide? We provide a wide range of skin surgery on all body surfaces, including destruction of benign and malignant growths, excisional surgery, Mohs Micrographic Surgery, skin biopsy, and scar revision. Why can’t I schedule directly for surgery? It is very important that we have adequate time to discuss the risks, benefits and alternatives of a given surgical approach with you before we schedule your procedure. Careful review of your existing pathology, medical history and care goals will determine the most appropriate treatment. Infrequently, additional biopsies must be performed prior to making a treatment recommendation. Your pre-operative clinic visit ensures that we have all of the information needed regarding your skin cancer, your medical history and your treatment goals to schedule the appropriate surgical procedure. It will also give you a chance to ask questions you might have about your condition and your treatment plan. Who do I call if I have problems after my surgery? Surgical complications do occur, but we are there for you 24/7. You will receive your surgeon’s cellphone number at the time of surgery. 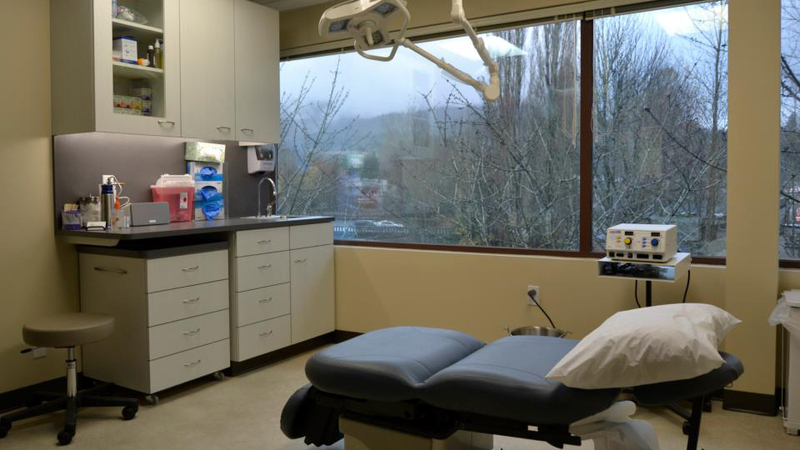 We will ensure that your post-operative course is as smooth as possible. Eat your usual breakfast and/or lunch. If you normally skip breakfast, please have a morning snack on the day of surgery. Take all of your regular medications unless directed otherwise by your surgeon or your regular physician. If you take medicine with aspirin, salicylates, other pain medicine, anti-inflammatory medicine, or arthritis medicine, please discuss this with Dr. Miller prior to your visit. DO NOT STOP ASPIRIN THAT WAS PRESCRIBED BY YOUR DOCTOR WITHOUT YOUR DOCTOR’S PERMISSION. DO NOT STOP COUMADIN IF YOU ARE TAKING IT. Do not take any herbs, Vitamin E, niacin, fish oil tablets (omega 3) or non-steroidal anti-inflammatory medicines like Motrin, Nuprin or Advil the WEEK before surgery. These all increase bleeding complications. Wear comfortable, loose-fitting clothing that you can get into and out of easily. Avoid any pull-over clothing. You may also bring a blanket and/or sweater with zipper or buttons in case the room is cool. Please leave your whole day available for surgery. Doing so will allow enough time for you to rest and recover from the procedure. On the day of your surgery, we encourage you to bring one close friend or relative with you who will drive you home. They may also keep you company between each stage of the procedure if you wish. Wear comfortable clothes and avoid “pullover” clothing. If we are operating on the face please do not wear make-up or lotions on or around the area the day of the procedure. Should I have breakfast on the day of surgery? We suggest that you eat a normal breakfast unless you have made a same day reconstruction appointment with another doctor. In this case you should follow the pre-op instructions that they give you. Should I stop my medications? Yes. Continue any medications prescribed by your doctor. However, aspirin is a drug that may prolong bleeding. We ask that you avoid aspirin unless you have had a history of heart problems or this is prescribed to take by your doctor (including Anacin, Bufferin, Excedrin, Alka Selzer, Percodan, Motrin, Advil and Naprosyn) for one week prior to surgery. If you are taking any blood thinners (Coumadin) please call our office before your scheduled surgery. In addition, alcohol will also promote bleeding, so avoid alcoholic beverages 24 hours before surgery. Will I have pain or bruising after surgery? Most patients do not complain of pain. If there is discomfort, Tylenol or Acetominophen is all that is usually necessary for relief. Avoid taking medications containing aspirin (unless prescribed) as they may cause bleeding. You may have some bruising around the wound especially if the surgery is close to the eye. We advise you to rest after your procedure and ice the area to reduce swelling. We would like you to keep your physical activity to a minimum for one week after surgery, this includes no heaving lifting, bending or strenuous exercise. Yes. We recommend that the patient take it easy for the week after surgery which includes no exertion, heavy lifting, bending or straining. How will my wound heal? The human body healed itself naturally for thousands of years before the advent of modern medicine. It has great recuperative ability. After the complete removal of the tumor, several options may be considered for managing the wound. This procedure often speeds healing and can offer good cosmetic results, especially when the scar can be hidden in a line of facial expression or wrinkling. Sutures generally remain in place for 5 to 7 days and occasionally up to two weeks, depending on the location. Do not bathe the area until the dressings are removed. You must avoid swimming for 25 days. For wounds that are too large for primary closure, Dr. Miller may repair the wound with a flap or skin graft. Occasionally, a further tune-up of the repair may be needed, such as laser abrasion or scar revision. Sometimes delayed closures of wounds may be required. Dr. Miller will re-discuss these options with you after the cancer has been totally removed. PATIENTS REFERRED FOR MOHS SURGERY BY ANOTHER SURGEON WILL HAVE THEIR REPAIR DONE BY THAT SURGEON ON THE DAY OF MOHS SURGERY OR THE NEXT DAY.